Yankees, Mets, Mariners: Et tu, Bruni? Et tu, Bruni? Front-page news in the NYT: resto-critic Frank Bruni takes himself out to the ball game — checking out the concessions at Yankee Stadium and Citi Field. Sounds like he didn’t score too well — Shake Shack and Esca-fied seafood notwithstanding. What, no Ichirolls, Ivar’s or The Man? 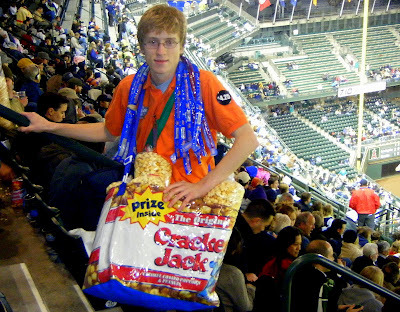 Cracker Jack? It’s Mmm M’s good.